The trial in the case The Prosecutor v. William Samoei Ruto and Joshua Arap Sang continued on Thursday, 17 October 2013, with the continuation of the testimony of the 4th Prosecution witness, with the pseudonym ‘P-0376’. The witness testified under the protective measures of facial pixilation and voice distortion; parts of the testimony was given in private session, in order to preserve the confidentiality of the identity of the witness. 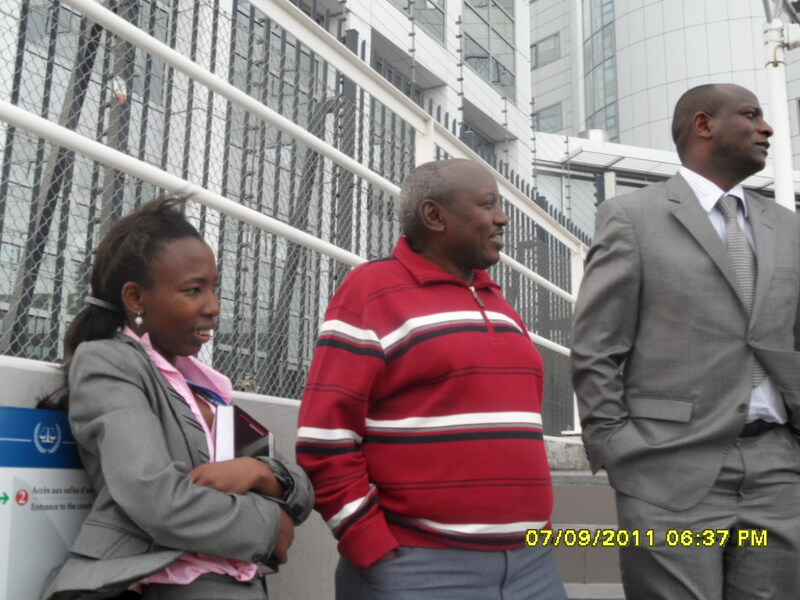 The trial of William Samoei Ruto and Joshua Arap Sang opened on 10 September 2013, in the presence of the accused. Mr Ruto and Mr Sang are accused of crimes against humanity (murder, deportation or forcible transfer of population and persecution) allegedly committed in Kenya in the context of the 2007-2008 post-election violence in Kenya. The trial is being heard by Trial Chamber V(a), which is composed of Judges Chile Eboe-Osuji (presiding), Olga Herrera Carbuccia and Robert Fremr. The adjournment of the trial is extended up to Tuesday, 1 October 2013, and the hearings in this case will resume on Wednesday, 2 October, with the continuation of the witness’s testimony, in the presence of the accused. This is to permit Mr Ruto to attend the inter-denominational service scheduled for Tuesday, 1 October. Hearings will then continue on the week of 7-11 October 2013, contrary to what was initially scheduled (except for 9 October due to other hearings to take place in other ICC cases at the ICC’s premises). The Kenya case by ICC prosecutor against Mr Ruto and Mr sang will soon collapse if the prosecution does not change tact and be serious with whatever evidence they have. The Status Conference which was scheduled to take place Tuesday the 14th and 15th of May 2013 started with Ruto and Sang being Present in person in the Internationa Criminal Court. Ruto has told the court that he is a victim of falsehood. This is not far from the truth because those who have come forward to witness against him have been promised incentives – money and high class lifestyles in Western rich countries, on condition they help the prosecution convict Deputy President Ruto. Some of the witnesses, however, have started getting cold feet, withdrawing themselves from the witness list and revealing that they were induced. On the Wednesday, the second day of the Status Conference both accused were not rewuired by the court to be present, so with the leave of the court, they were absent. Ruto had told the court that he had scheduled to be in the Hague only one day but that he had no problem attending the proceedings on the second day if the court so ordered. This is a sign of nothing to hide, and no fear. A man of character – already Deputy President Ruto knows he has nothing to hide nd fear , thus he decided to travel to the Hague yesterday evening even if it was not a must for him to do so. His lawyers would represent him during this status conference whereby the court wants to fix the hearing dates after postponing the hearing that was scheduled to start on the 28th of this month of May 2013. The fact that Deputy President Ruto decided to be present in person in the International Criminal Court is great sign that he will cooperate with the court until the end, and the fact that he is now Kenya’s deputy Head of State has not entered into his mind transforming him to ignore the court. This is a man who says he is innocent, and has put his fate in the hands of his creator, the Almighty God. Mr Ruto Believes he will be exonerated in the end, and will come out of this tormenting period, a very strong man. Deputy President William Ruto has arrived in The Hague, Netherlands to be personally present at a status conference at the International Criminal Court. He left Kenya yesterday night accompanied by his wife, and Attorney General Professor Githu Muigai. A few hours before leaving Kenya, Mr Ruto welcomed home President Uhuru Kenyatta at the Jomo Kenyatta International Airport (JKIA) at 10.00pm when arrived back int the country from a four-day visit to South Africa. President Kenyatta was in South Africa attending the World Economic Forum on Africa themed “Delivering on Africa’s Promise”. The status conference at the ICC will discuss Mr Ruto’s request to have his trial moved from May 28th to November. The conference will also discus ICC chief prosecutor Fatou Bensouda’s request to add five witnesses to their list. The conference will also discus modalities – how Mr Ruto will attend the proceedings while at the same time running the country as Deputy Head of State. This is a consideration the court seems to agree to, because Mr Ruto is cooperating with the court and there is not warrant of arrest against him. The former radio presenter Joshua arap Sang has requested the same as Mr Ruto. He wants his case postponed from 28th of this month to November. The two men say they are ready to cooperate with the court until the end of the trial because they say they are innocent. During the start of the Kenya cases at the ICC, brought by Moreno Ocampo, the former Chief prosecutor, there were six suspects, namely President Uhuru Muigai Kenyatta who was then Kenya’s Deputy Prime Minister, Former Head of the Civil Service Mr. Francis Muthaura, Former Commissioner of Police Ali, Deputy President William Samoei Arap Ruto (then MInister of Agriculture and Education), former Industrialization Minister Mr Henry Kosgey and the former Radio Presenter Mr Joshua Arap Sang. The cases facing Ali, and Kosgey were thrown out at the confirmation of charges hearing. Mr Francis Muthaura’s case crumbled recently, even after charges against him had been confirmed by the Pre-trial chamber. The cases are falling apart because witnesses that the prosecution rely on are now coming out of the closet saying that they were enticed to lie by being offered comfortable lifestyles in European capitals and other countries including the US, Canada and Australia. There are strong signs that the remaining cases – Mr Kenyatta’s, Mr Ruto’s and Mr. Sang’s will also see no convictions. 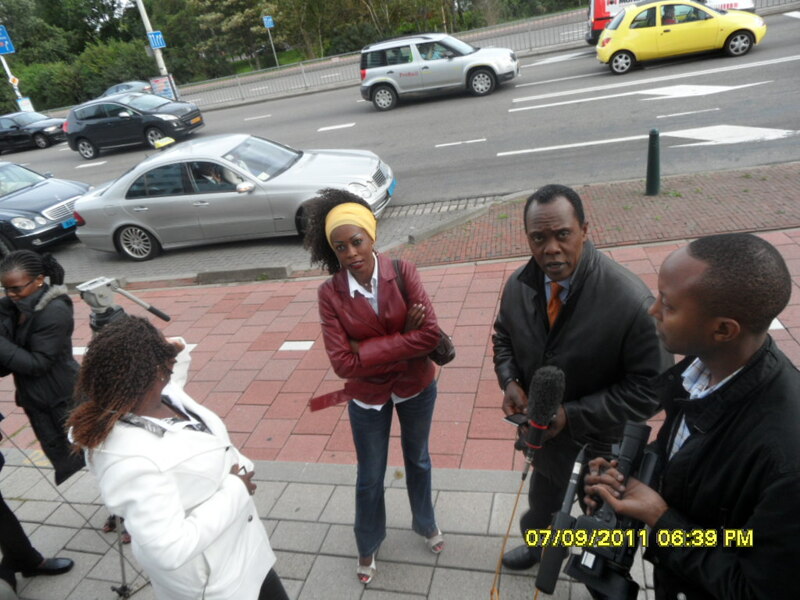 The proceedings ended in the Hague on the 8th of September and people prepare to go back home to Kenya. Hon. William Ruto was accompanied by his wife Rachel who remained in the Hague throughout the confirmation of charges hearing. In such a situation, suspects accused falsely or not, needs support from a beloved and trusted partner, because the proceedings cause pain, especially if the accused person or suspect knows for sure that the charges are false, and believes it is a creation – manufactured through coached, and anonymous money hungry witnesses who are self-confessed criminals. Ruto’s wife therefore did the right thing by supporting her husband throughout the hearing. Kosgey had his two sons to give him moral support, while Mr Sang had the support from Kass FM colleagues who were present to cover the proceedings. The confirmation of charges hearing case against William Samoei Ruto, Henry Kosgey and Joshua Sang caused anger in the Kalenjin community in Kenya as soon as it was made public. This happened because the community did not understand why they were being picked on by Chief Prosecutor Moreno Ocampo. The accusation is derived from the 2007/2008 post-election violence that erupted spontaneously immediately President Mwai Kibaki was sworn in for the second term in office. The eruption of the violence took place because the opposition party ODM led by its presidential candidate Raila Odinga did not accept the results. After the chaos of 2007/2008, Kenya has not been the same. People are suspicious of one another politically. There are those who want to believe that the accused persons William Ruto, Henry Kosgey and Joshua Sang are guilty and yet there is a majority out there who knows that these people are not the ones who financed and caused deaths to innocent Kenyan people. Those who still believe that they are guilty, it is sad to say, do not know that the evidence being used against them is not credible at all. Sitting in the court and listening to the evidence produced by the prosecution, – evidence presented on the 1st of september through the 7th of september – one can only say the three suspects Ruto, Kosgey and Sang are innocent people who are being persecuted by some political entity in collaboration with the prosecution with the help of the Kenya National Human Rights Commission, Human Rights Watch and Waki reports. This is unfair to the suspects because the witnesses are people who received payments and promises of luxurious lives outside Kenya. Such promises attracted witnesses to come forward for the sake of money. Their exaggeration that their lives would be in danger if they testified live, misled the prosecution. The prosecution decided to present written statements from the said witnesses. Names were never revealed to the defence during the proceedings and the defence, including th court did not get the opportunity to cross-examine the witnesses, whose testimony were contradictory. Following the prosecution’s evidence presented to the court, If there is any justice at all in the ICC process, the 3 suspects will be free from any more persecution in the next 60 days. This is so, because there is no credible evidence connecting any of the 3 to any post-election violence. There were serious moments at the Hague, but also happy times for the suspects when they realised Ocampo was easy meat to chew. 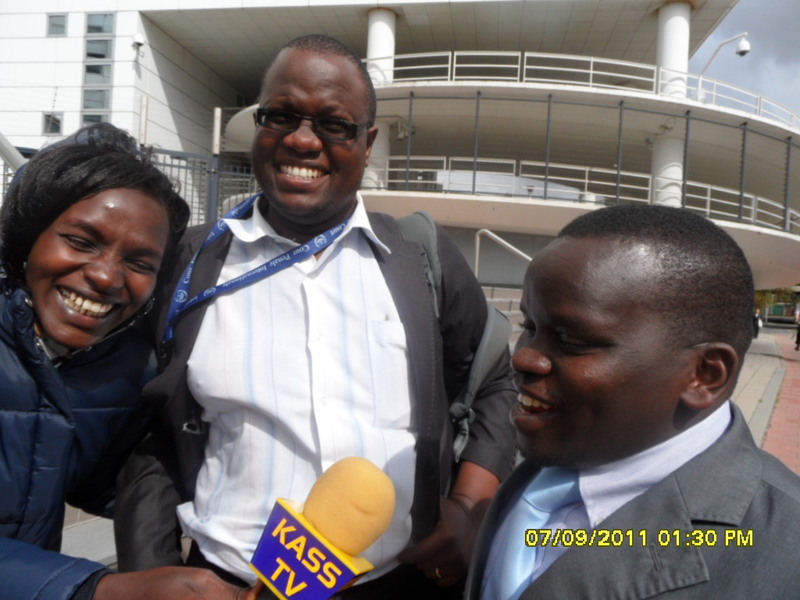 It did not go unnoticed here that Mr Joshua Sang was happy after his witnesses completed giving evidence at the Hague. He told Kass reporter that he just wanted to go home and wait to be cleared of all charges. He said he believed justice will be done. When asked how he thinks his defence team had done the job, Sang almost burst into laughter saying Ocampo had nothing on him and that he was easy meat and a step-over for his team – causing laughter, disabling reporter Jesang causing her to burst into laughter. Sang said Ocampo should have been clever enough to get audio recordings of his broadcasts and check them in order to see if there was anything to incriminate him, instead of cheap propaganda that he took to court. His lawyer (middle on the photo) was pleased with the witnesses Sang had identified. Many journalists were at the Hague to follow the proceedings. The proceedings was being watched live in Kenya by many who had the opportunity. The majority of the people would like to see justice done. There are also some who do not want to hear that the six suspects may actually have been framed. However, the truth must prevail. Contradictory statements read out in court may, if the judges want to do justice, cause a ruling favouring the suspects. The defence stressed the point that the witnesses are not people of dignity who can earn anybody’s trust and yet the prosecution believes them in whatever they say without proper verification. They blamed those who, according to them, have framed the suspects, especially Ruto because they believe some people want to use the ICC case to block him from running for the Presidency come 2012 Presidential elections. Ruto is determined to become Kenya’s president after President Mwai Kibaki.If the charges are confirmed, which should not be the case if the court looks at the evidences critically, then the case will run for many years in the Hague. That will not help those politicians who want, and are able, to lead the Kenyan people.The defence believe that there politicians who are wishing Ruto and Uhuru Kenyatta away from the scene so that they get an easy ride to State House. It is wrong to misuse the ICC for this purpose, through deceit by witnesses bought for a price. 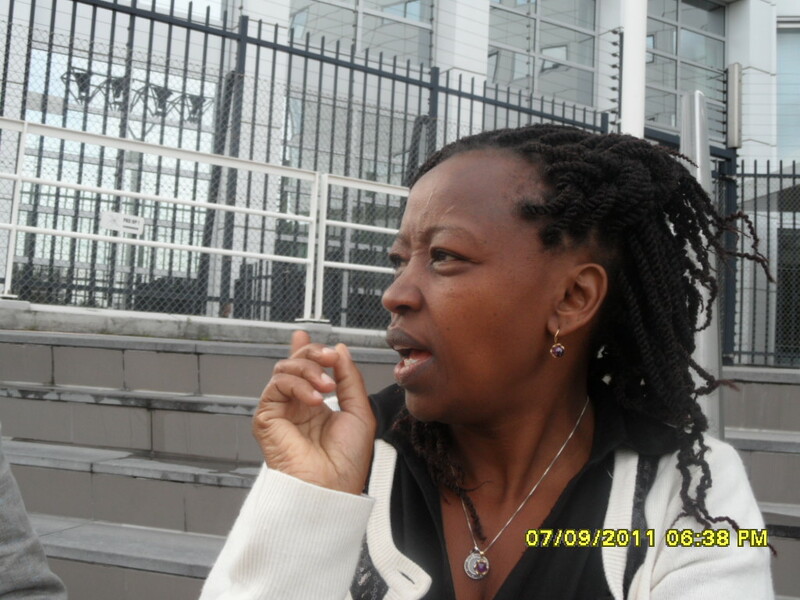 Kenyan people living in the Netherlands and some European countries, including those who came direct from Kenya attended the proceedings which were tainted by anonymous witnesses’ contradictory statements.Some attended the proceedings to give moral support to the suspects, while others were there as curious persons with no personal interest in the case, but only to listen in.